As the market for Chinese EB-5 investors continues to slow down due to EB-5 visa retrogression resulting in lengthy visa wait times, Chinese nationals are increasingly looking towards other avenues to immigrate to the United States. And while the supply of immigrant visas has seemingly decreased, the demand to live, work and educate children in the United States continues unabated. For well-qualified Chinese investors and entrepreneurs, who are willing to invest in franchise businesses in the United States, there are the viable options of the L-1A and EB-1C visa categories. The L-1A and EB-1C visa categories for multinational executives or managers (collectively referred to as the L-1A/EB-1C) is a two-part avenue towards United States’ legal permanent residence, also called a green card, and is a potential alternative route for many Chinese individuals who were originally interested in the EB-5 program. The United States company, as the visa petitioner, and the related foreign company must have what is known as a “qualifying relationship.” This relationship is described as an executive or managerial level employee, as the L-1A/EB-1C beneficiary, who must have worked for the foreign company for at least one continuous year within the past three years; and the same L-1A/EB-1C beneficiary must be seeking to enter the United States to work for the related United States company in an executive or managerial capacity. Several types of relationships between the foreign company and United States company work to meet the L-1A/EB-1C requirements; however, the most common types would likely be either a “parent-subsidiary relationship” or an “affiliate relationship,” and the “affiliate relationship” exists when an individual holds a controlling interest in both the foreign company and United States company. Additionally, anyone considering this L-1A/EB-1C immigration path must understand the primary difference between L-1A and EB-1C visa requirements: For the L-1A visa, a foreign company may send an executive or manager to the United States to establish a new office. 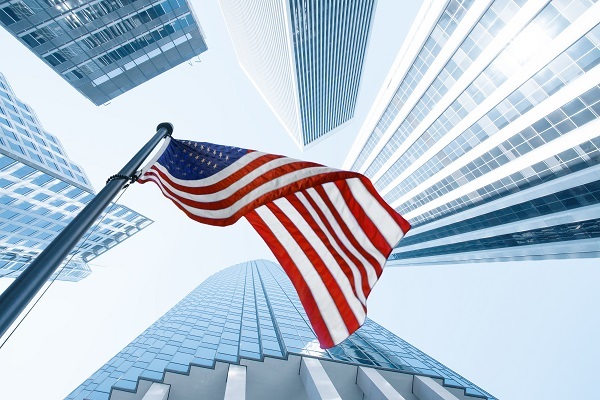 In contrast, the EB-1C visa requires that the related United States office/company to have been conducting business for at least one year prior to being able to support the filing of an EB-1C petition on behalf of an executive or manager. The franchise business is a popular business model in both the United States and China and includes franchise industry giants such as McDonald’s and KFC as well as numerous other franchises that operate on a much smaller scale. The basics of the franchise business model exist when a franchise or license is made available by a company (the franchisor) to a third party (the franchisee), and the franchisee, in turn, will own an individual franchise location while utilizing the business know-how, brand and products that belong to the franchisor. The franchisee then agrees to meet certain obligations and pay franchise fees to the franchisor. While virtually no business operates without risk, the franchise business is able to minimize risk by taking advantage of the franchisor’s business resources and established operating model. Many Chinese own and operate successful businesses abroad, and many of these are interested in starting a business in the United States after learning about the L-1A/EB-1C immigration option. However, while starting any type of business inherently involves a significant amount of risk, the risks and complications that face Chinese nationals hoping to start a business in the United States are multiplied if they are unfamiliar with United States business practices. In a situation where the Chinese national establishes a new business in the United States that is intended to support their own L-1A work visa as an executive (known as a “New Office L-1A”), the New Office L-1A visa features a maximum initial stay of only one year. The United States business that supports the foreign national’s L-1A visa must also show that it is successfully operating - including hiring employees and creating business profits - in order to support the extension of that executive’s L-1A status. This is why it is critical for the United States business to have a well-formulated business plan that has a high likelihood of success during the company’s first year of operations, otherwise the extension of the executive’s L-1A status will be in doubt. For Chinese nationals interested in starting a business in the United States but who are unsure of what type of business to establish or who are hesitant about running a business outside of China, a franchise business presents a viable option where the Chinese national can rely on the franchisor’s business model, brand, and products to increase the likelihood of success. The Chinese national - acting as both a franchisee and executive - will own and have equity in the franchise business but can often rely on the franchisor to assist with operating the business, including hiring a franchise store manager. This type of arrangement then allows the Chinese national to invest in and own multiple franchises, and ideally multiple franchises will lead to increased financial returns for the foreign national. Even though the foreign national is not required to work in the actual franchise store day-to-day, the Chinese national will be working day-to-day on the overall franchise business by making executive-level strategic and growth decisions in furtherance of developing multiple franchises. In relation to the L-1A/EB-1C, there are many different ways that the franchise business can be structured that are practicable. But in order to build up a strong case and maximize the L-1A/EB-1C petition’s likelihood of success, the ideal Chinese national candidate will own a foreign company (minimum 51 percent controlling interest) and act as that foreign company’s senior executive. The foreign company must also be operating successfully with a substantial number of employees and an established management structure to justify the Chinese national’s role as a senior executive. With these items in place, this same Chinese national can then invest in franchise businesses in the United States and act as the senior executive in charge of the overall franchise business. In terms of the “qualifying relationship” between the foreign company and the United States company mentioned earlier, establishing an affiliate relationship would be preferable, whereby the Chinese national will own both the foreign company and the franchise business in the United States with a minimum 51 percent controlling interest in both entities. In the event that the United States franchise business will own and operate several franchise locations, a structure can be set up where the foreign national will own and act as the senior executive of a holding company, and this holding company, in turn, will develop and own several franchise businesses. While there is no minimum requirement regarding the number of franchise businesses the foreign national should own, several franchise businesses will lead to an increased number of employees and larger overall business operation that will support the Chinese national’s role as an executive and strengthens the L-1A/EB-1C petition. Regarding the validity of the L-1A work visa: the New Office L-1A visa has a maximum initial stay of one year, while a company that has been doing business for over one year in the United States can support an L-1A work visa with an initial stay of three years. In almost all cases, the Chinese national should first obtain the L-1A work visa and then convert to an EB-1C green card after the United States business has been operating for over one year and has achieved stable business operations, including employing a sufficient number of employees and generating profits for the business. This process also allows the Chinese national to continue to live and work in the United States with the L-1A visa at the same time that the EB-1C petition is pending. It is imperative that the Chinese national do a considerable amount of due diligence and research prior to investing in and owning the franchise businesses. It is also critical that the Chinese national commit himself or herself to actually run the franchise business in an executive capacity and take overall responsibility for leading the business’s operations, because Chinese nationals that are merely interested in investing in a franchise to obtain a green card and lack the requisite level of commitment will likely face a high probability that both the franchise business and L-1A/EB-1C petition will fail. However, for the well-qualified Chinese investor and entrepreneur that is committed to developing a franchise business in the United States, the L-1A and EB-1C visa categories present a viable option to immigrate to the United States. David Van Vooren is a partner at David Hirson & Partners, LLP. David works extensively on the EB-5 Immigrant Investor Program and also has substantial experience advising foreign investors and entrepreneurs on U.S. immigration matters relating to L-1 and E-2 cases that involve startup companies in the U.S. Van Vooren also speaks and reads Mandarin Chinese with a high level of proficiency, and he previously worked in the Shanghai office of an international law firm.